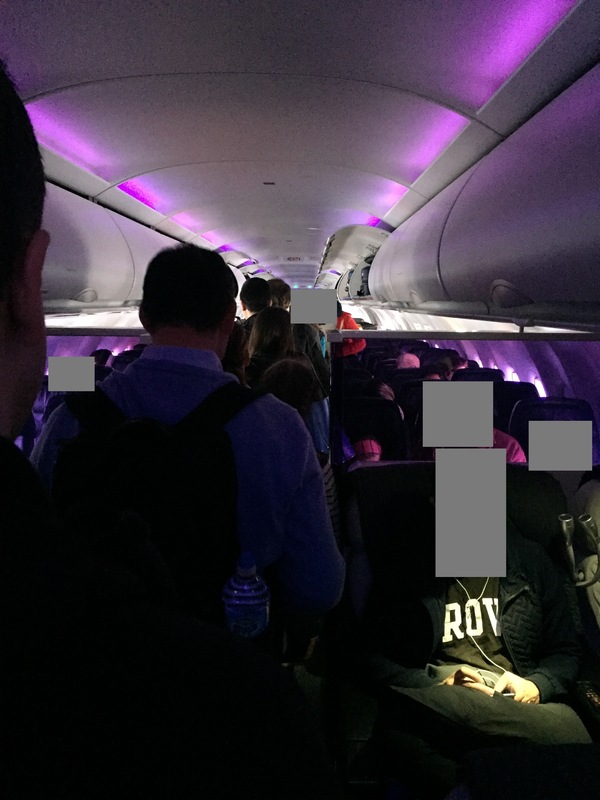 It was my first time flying Virgin America and I must say I was mostly underwhelmed. After attending the CPM Conference at San Francisco Airport (SFO) I decided to take an afternoon flight back to New York – Virgin America offered me the best deal, despite the fact that I did have to pay to check my luggage. The plane was small – only an Airbus A320, with two rows of domestic first class (meaning: reclining, larger chairs) and a whole bunch of economy. There were a few seats in “Main Cabin Select” class, but those were extra money and I didn’t want to pay for that. The main gripe I had was the in-flight entertainment was expensive if you wanted on-demand video. For a TV show, it cost $3 and for a movie, it was $8. Luckily, they happened to have a live TV option and so I watched two movies back-and-forth within commercial breaks (I can’t remember the last time I did that). 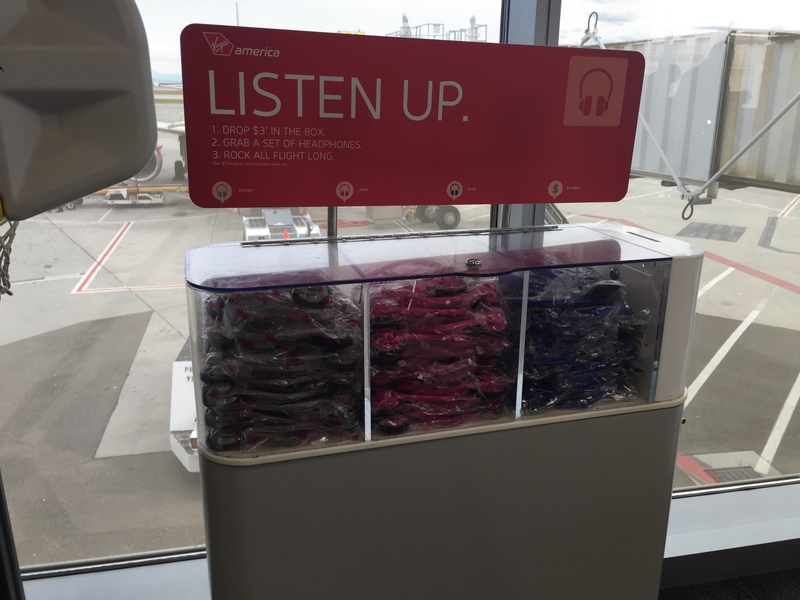 They also had a place outside the gate where you could buy headphones. Also, even though they have a cool system for ordering drinks and food, they did not have any kind of free, complementary snack! Even a small package of peanuts would do, but no – everything costs money. It wasn’t the most expensive thing in the world, but principles are principles. The small, funny experience I had on the flight was during that time when the plane is still on an incline but the cabin crew has started their service. I was walking behind a flight attendant bringing up the drinks cart and helped her push it up the hill. She offered to even buy me a beer as a thank you later on but I declined. Apparently, she spoke to another flight attendant about me too. I guess they don’t get much kindness on airplanes. It was a relatively short transcontinental flight – 4 hours, 45 minutes – and it gave me a lot of time to reflect on the conference I had just attended. I don’t think I’ll go out of my way to fly Virgin America in the future, but the flight attendants were kind and attentive and if I had status, maybe it’d be nicer.